We recently received contact from The Melbourne Rail Tunnel, one of Australia’s biggest projects, requesting to install safety cages. 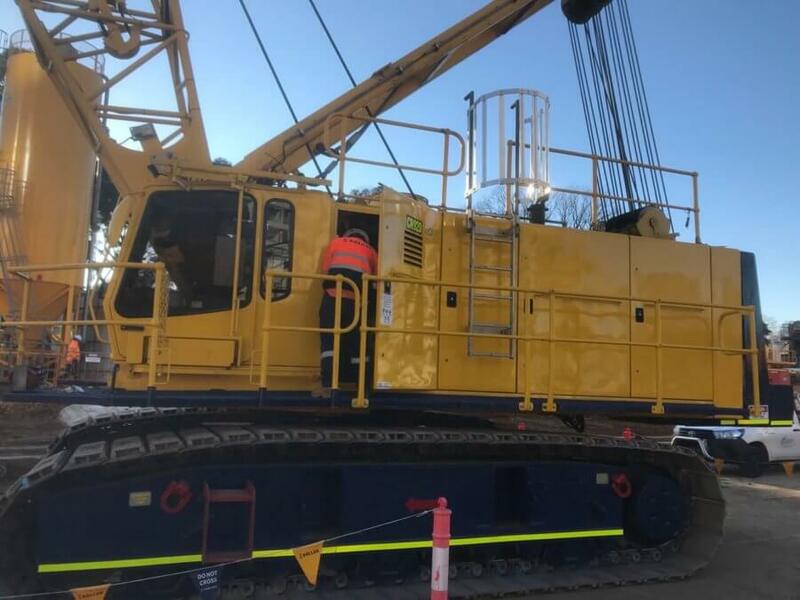 The Melbourne Rail Tunnel required safety cages to be fitted on to their plant equipment in order to ensure workers are not at risk when using the equipment. Ensuring safety for workers – Our motto at Anchored is no one plans to fall, and providing a safe environment for our clients is our number one priority. 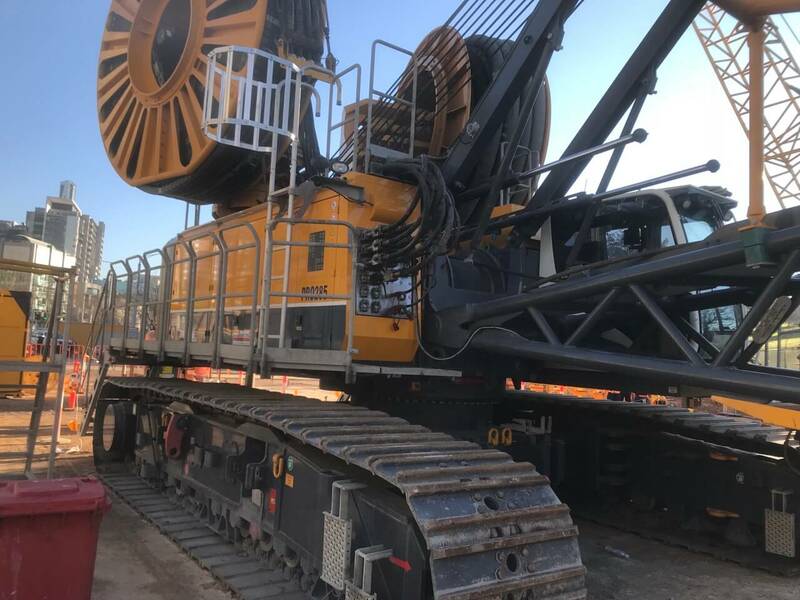 The main objective for the Melbourne Rail Tunnel project was to eliminate the fall risk when accessing the upper level of the crane and piling equipment. 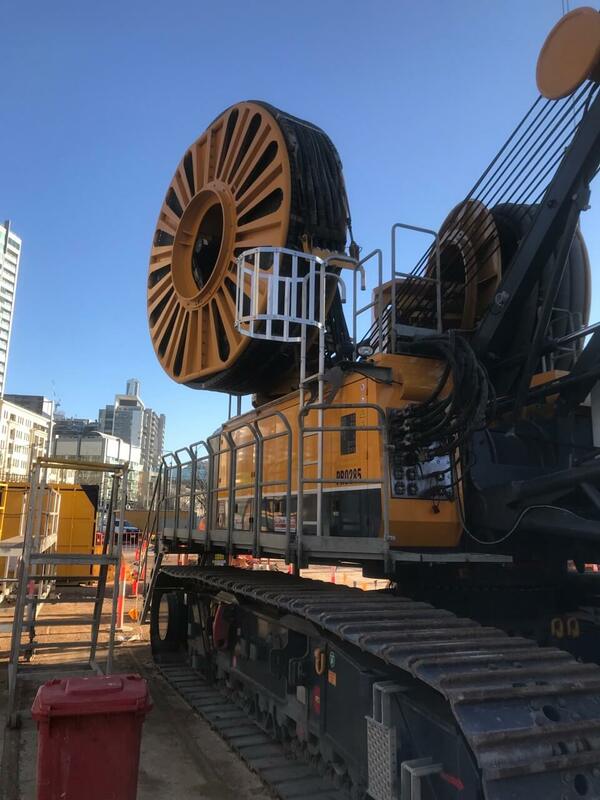 Workers at the Melbourne Rail Tunnel were previously at risk of falling while working on cranes or other piling equipment. It was necessary to install safety cages to ensure that workers were not at risk while on the job. We were able to complete the work while the plant was at rest, so the team were not disturbed during the time we were installing the safety cages. This level of collaboration is what we love to achieve with our clients, as it results in high satisfaction from all parties. Our team was able to get to work immediately after the initial call, where we began designing and fabricating the materials right away. The site safety team were very impressed with the turnaround of the work, from the first call to the completion of the project. This was very important to us, as we believe it is of the utmost importance to deliver a job to the satisfaction of our clients every single time.